Mike Weiss, Senior Health Economist, Populytics, Inc., is representing the company’s pioneer status at Optum Forum 2018, titled, “Using Optum Performance Analytics to Reduce Out-of-Network Utilization – Clients Share their Stories.” Populytics is one of only two national beta-test sites for Optum’s new flagship platform, Optum Performance Analytics. Mike will be a part of an expert panel who will discuss a particular use-case that utilizes the new platform. Also presenting at the event are Nicole Longbons, CHDA, Manager, Clinical and Business Analytics at Populytics, and Nina Taggart, MA, MD, MBA, FAAO, Senior Director of Accountable Care at Lehigh Valley Physician Hospital Organization (LVPHO). Their presentation titled “Leveraging Analytics to Create and Inform Care Pathways,” will showcase how aligned health system Lehigh Valley Health Network (LVHN) has implemented multiple care pathways to help drive value-based care transformation. LVHN’s care pathway analytics have provided clinical insight, improving effectiveness and efficiency in the delivery of health care services while improving patient outcomes. Optum Forum 2018 will also feature an original, custom-curated TED Salon and New York Times best-selling author and entrepreneur Dr. Peter Diamandis. 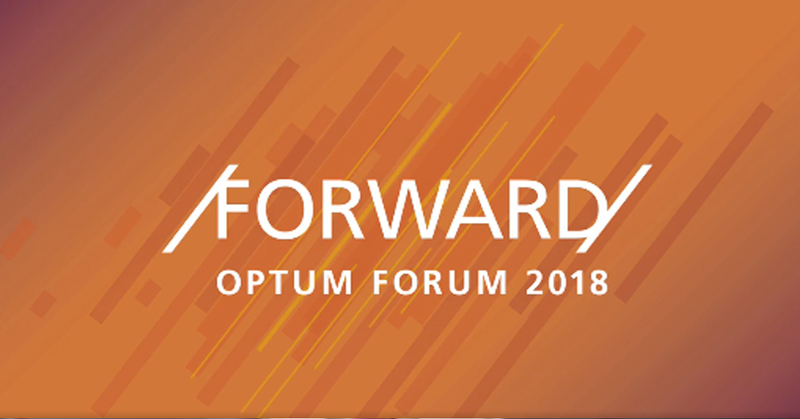 Register for Optum Forum 2018 here.